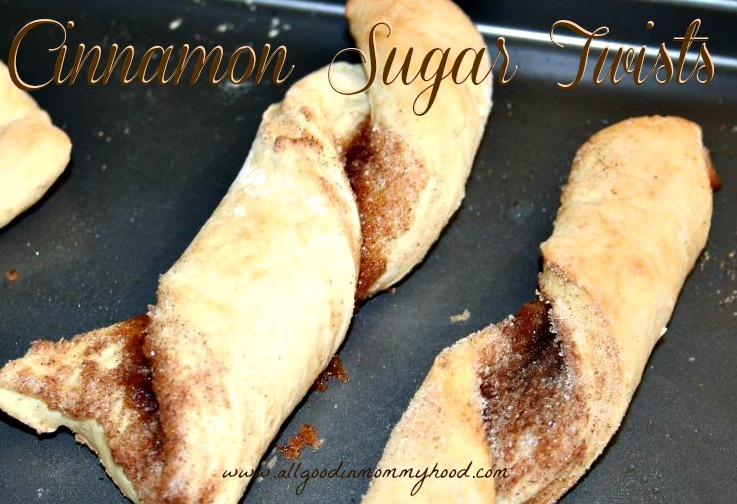 I made these cinnamon sugar twists last Sunday. I had just treated myself to my morning fix of Pinterest. I left the computer inspired to bake something delicious, and sinfully Sunday morning good. I went with cinnamon rolls twisted like breadsticks. They were just what our Sunday morning ordered; cinnamon, sugar and carbohydrates. In large bowl, mix 2 cups flour (save 3/4 for later) next 3 ingredients. Set aside. In small saucepan, melt butter and milk. Remove from heat and add water and vanilla. Cool 5 minutes. Add milk mixture to dry mixture, mix well. Whisk together eggs and add to batter. Continue mixing and add 3/4 cup flour. Mixture will be sticky. Place dough in a medium sized greased bowl, and turn to coat. 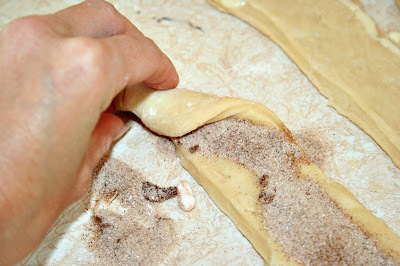 Cover with plastic wrap and let dough rise in a warm place for 45 minutes, until it doubles in size. 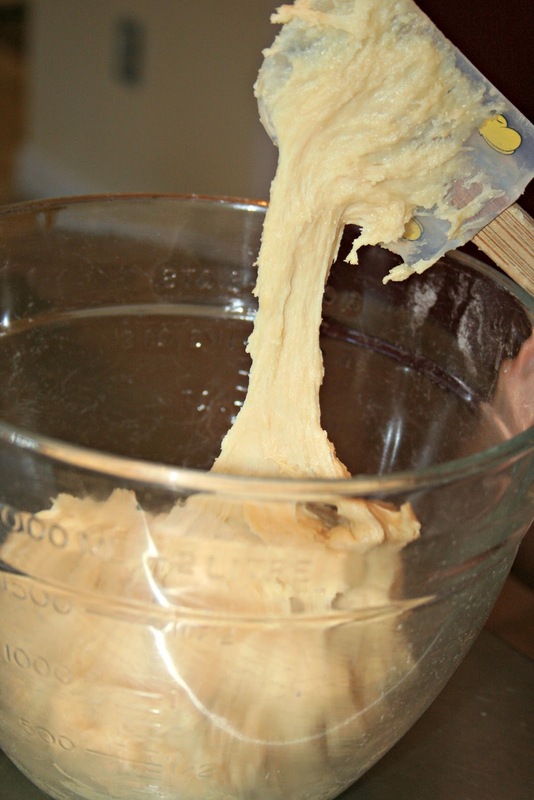 Knead dough and add a few tablespoons flour, cover and let rise 10 more minutes. In a small bowl, mix cinnamon and sugar for filling. On a clean, dry, nonstick surface, roll out dough. Using a pizza cutter, make long strips, about 8" long and 2" wide. Brush each strip with melted butter, and generously sprinkle with filling. 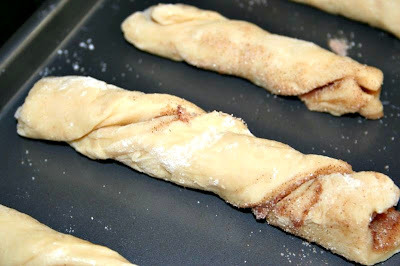 Twist strips tightly, be careful to keep cinnamon sugar inside. Sprinkle tops with remaining filling, and place on baking sheet. Bake at 350 for 10-15 minutes. Let cool 5 minutes, and enjoy while warm! Back in the day, when we had two munchkins, we enjoyed eating out. We were regulars at kid's night at Perkins. The waitress knew our order, and knew we liked a basket of rolls. She brought our drinks before we even ordered them. Along with some play-doh and sticker sets, crayons and other art supplies were a necessity. We had a bag of goodies to keep tiny hands and brains busy while myself and Hubby enjoyed some conversation. Or maybe we just stared at the walls enjoying the peace. 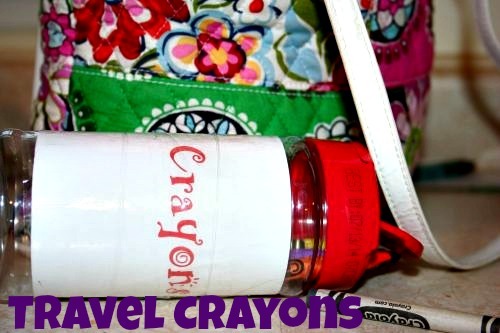 Either way, these handy travel crayons are ideal for parents. I made mine out of a container that previously housed rainbow sprinkles. Rainbow sprinkles make my heart sing. Of course, old spice containers work too. Just rinse the container well, and allow to dry. Peel off the label, and type out some sort of fancy title for your container, such as "crayons." Using packing tape, apply label neatly. Fill with crayons. Or markers. Fill with something that will keep your kids busy when you need them to be busy. And place it in your purse. These containers are awesome because they are large enough to hold a few sheets of rolled paper for coloring. 1. My kids are home from school today. I can't think long enough to post anything of substance. 2. The weather here is turning. I'm not happy with this development. 3. Our beagle, Penny, cries and whimpers every time she's on a "trail." She sniffs and sniffs, wagging violently for hours. She never finds anything. It kind of reminds me of that hound dog in that cartoon that can't smell. Anyone? What am I thinking about? Is it Lady and the Tramp? 4. I'm thinking of taking all four of my munchkins to Target today to look at Halloween merchandise. In other words, we won't buy anything exciting, but will have a jolly time. It's strange, but it works for cheap entertainment on a rainy day off school. 5. I took a picture of my Moopa at the football field the other day. I love it because it captures the happy maniac child she is. On that note, I'll finish up because laundry needs washing and the floors need tending to. We also have to get to our family outing at Target. Every fall I get an uncontrollable urge to bake with canned pumpkin. This urge is similar to Christmas music the day after Thanksgiving and Diet Coke with french fries. I feel one cannot exist without the other. Yesterday, armed with canned pumpkin, I baked my favorite pumpkin loaf. I also have neglected to purchase Eggo's all week. Pumpkin loaf makes a killer quick breakfast when Eggo's are not available. Waste no time baking this because it is delicious and fairly healthy. 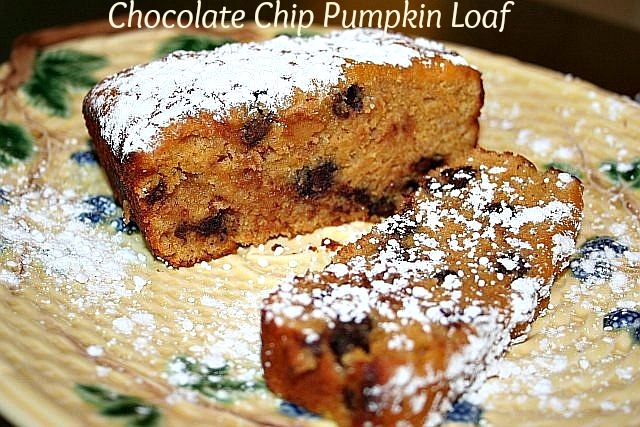 And tomorrow morning you could be sitting down to toasted chocolate chip pumpkin loaf, moist with melted butter and dusted with powdered sugar. You will have died and gone to pumpkin loaf heaven. This recipe makes two loaves (I'm all about sharing) or one loaf and twelve muffins. I freeze the muffins for later consumption. Preheat oven to 350. Grease and flour loaf pans/muffin tins. Mix sugar, applesauce and eggs. Add pumpkin. Slowly blend dry ingredients. Stir in chocolate chips. Bake loaf 35-45 minutes, until center is done. Muffins bake approximately 15-20 minutes. 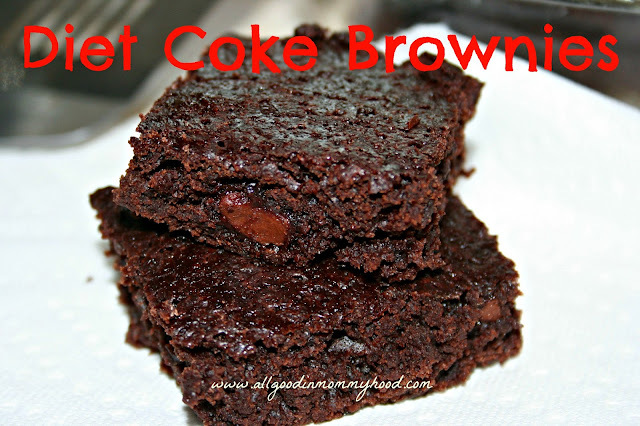 I'm about to tell you about brownies I made yesterday for my son's football tailgate. I made them with a can of Diet Coke. I had every intention of making a tray of cookies, but I had no sugar. I then decided to make brownies, but after I poured the mix into the bowl I realized I had no oil. Or no applesauce, my "go-to" substitution for oil. It's fair to say that the current grocery situation in my house is questionable. Today I went to make lunches and I realized I had no bread. After making a lunch that consisted of bagged cereal, a Pop Tart, an apple and a NutriGrain Bar, Hubby just declared it "Wacky Monday." These brownies would definitely fall into that category. Truthfully, this is NOT my idea. As with everything I learn these days, I found it on Pinterest. Just like applesauce is my "go to" substitution for oil, Pinterest is my "go to" place when I need help with just about anything. I would be lying if I said these were my favorite brownies in the world. They weren't. But they did taste like hundreds of other brownies I've indulged in. These little guys are more cake like, I prefer a fudgy brownie. 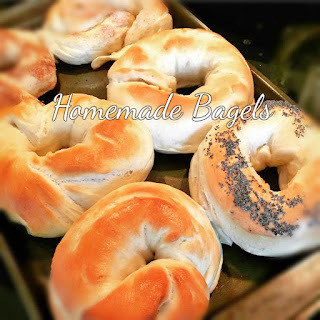 They bake kind of funny (you need to rotate the dish a few times) but they are super easy to make. If you must, dress them up with a few chocolate chips or chocolate frosting. My brownies did have a few chocolate chunks tossed in. I couldn't help myself. Heat oven to 350, grease 9x13 dish. Mix soda and brownie mix. Start with 1/2 can soda and add until desired consistency. The entire can may make the batter too thin. Bake for 30 minutes. You need to rotate the pan at least twice to ensure these bake through. If needed, lower oven temperature and bake an extra 5-10 minutes to cook center. Mommyhood Footnote: These are an excellent choice for the calorie conscious. One brownie is 92 calories and 2 grams fat. Having four kids, we've taken a baby or a toddler on just about every trip to Disney World. We've dealt with the strollers, snacks, diapers, hand wipes and tantrums. Below I've listed my 11 MUST KNOW tips (bonus! you thought you were only getting 10!) for any family taking a baby or toddler to Disney. These tips will calm your “should I be taking a toddler to Disney?! ?” nerves. I promise. Before I begin, let me say that Disney World was built around the concept of families. They have made life as easy as possible for parents. Every park has baby stations, complete with nursing areas and necessities for parents. And yes, your toddler will LOVE the trip. I can't promise you they'll remember it when they are fifteen, but they will go batpoop crazy over that huge, moving Mickey Mouse. 1. Start your day EARLY. This tip revolves around the concept of naptime. You can't bring your toddler to Disney World and fly by the seat of your pants. While you may be able to go all day, your baby or toddler will need a nap after lunch. Even if your child doesn't nap, they will need the downtime. Tired, over-stimulated kids are a recipe for Disney World disaster. Get up and out early; preferably when the parks open. Hit the rides and shows, and after lunch, you'll be able to head back to your hotel for a dip in the pool and a siesta. We like to push our baby or toddler in the stroller by the pool, and usually he/she falls asleep. Hubby and I then sit in our pool chairs, next to a stroller covered in a blanket (see tip 4) and chill by the pool watching our other maniacs swim. 2. Pack your cooler. Disney allows outside food, and this tip will save your wallet and your crying hungry toddler. Pack yogurts, dry cereal, cookies, fruit snacks and plenty of drinks. Don't forget diaper wipes, diapers and a clean onesie for babies. We turn our cooler into our diaper bag. We bring a soft cooler with large side mesh pockets and a zipper pocket in front. For babies, pack bottles filled with water. We pre-measured powder formula and poured into individual snack bags. Need a warm bottle? Keep those bottles with water in the outside mesh pockets of the cooler. 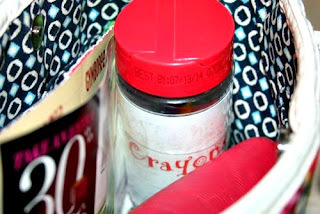 Store the individual powder formula bags in the front zipper. Pour, mix and voila, a warm bottle on a shady bench while your husband (or wife) takes your older kids on Space Mountain. Many parents question whether or not bringing food in will be a hassle. If you’re on a budget, it’s more than worth the extra bag in the stroller. You’ll be going through bag check at every park, and as long as you don’t back the entire kitchen the small cooler won’t weigh you down. 3. Bring a good stroller. I don't care if you have a three year old or four year old who walks every store in the mall. You will want and need a stroller. Not only will your kids get tired, you'll want to move quickly from point A to point B. Every parent knows toddler legs don't walk quickly. A stroller will also hold your cooler and any purchases. For babies and toddlers, a stroller that fully reclines is ideal. Even if your son hasn’t napped in the stroller since he was an infant, he may shock you and pass out as you motor your family to the next attraction. I don’t recommend renting strollers in Disney World. They are expensive and you’ll want a stroller for more than the theme parks. If you’re concerned about leaving a stroller outside rides and attractions, don’t be. There is a designated area for strollers and an attendant watching over everyone’s baby chariots. The most annoying thing about having a stroller in Disney World will be finding it after every attraction. If you have a toddler and an infant, I recommend TWO strollers if you have two adults. This will make navigating crowds and shops much easier, and if one child wants to ride Winnie the Pooh while the other is napping, parents can split up without too much hassle. 4. Bring a baby blanket. We use a baby blanket for sunshade. Or nursing. Or diaper changing on a bench. You get the idea. Pack several if you won't be able to do laundry. 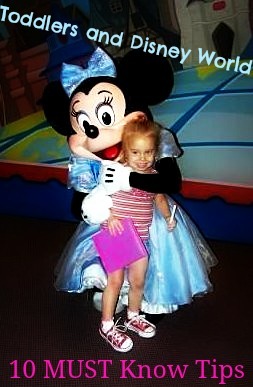 One year our five year old daughter caught the stomach bug in Disney World. We were able to push her fully reclined (see tip #3) in the stroller, baby blanket shading her, while the other kids enjoyed the parks. It’s all about being prepared. 5. Pack hand sanitizer and cleansing wipes. We attach a travel sized hand sanitizer to our diaper bag, pack a larger bottle inside the diaper bag and have cleansing wipes on hand at all times. We make a habit of using sanitizer after every ride and wiping down tables before we eat. There have been many trips to Disney I see at least one child vomiting all over his parents, and it’s not from too many Mickey Mouse ice cream bars. Hundreds of thousands of hands touch every turnstile and safety rail. Remember this and do your best to keep hands semi-clean. 6. Take note of where the bathrooms are when you stop for rides. USE THEM. We take everyone to the bathroom every few hours regardless of who is crying they have to use the bathroom. Everyone goes. Period. These little bathroom breaks not only save our family time as we walk through the parks, but our sanity. “I have to go potty” is a phrase that sends shivers down my spine. Multiply it x4 and I’d rather stay home. 7. Use the Parent Swap. If you have an infant or small child that is too small to ride an attraction, see a cast member and only one parent will have to wait in the regular line. The waiting parent will be able to use the FastPass line when the first parent returns. Usually you can take up to two people with you, ensuring you won't be riding alone. This is also a bonus if you have a child that enjoys the attraction, because they can ride twice! 8. 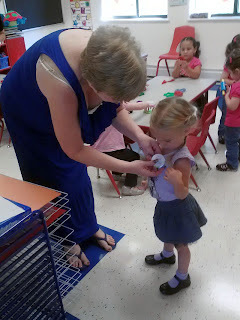 Pack bright clothes for your toddlers. There are swarms of children in Disney. You'll love your child in lime green when you're scanning the playground at Hollywood Studios. This tip is even more helpful if you dress all your kids in lime green. At the very least, aim for the same color every day. 9. Buy a pack of white label stickers. Every morning, write your cell phone number on the stickers. Stick these on your children! I recommend the back of the shirt, or the sleeve. Remember to REMOVE these labels BEFORE you wash any clothes. 10. Bring LOTS of sunscreen! Everything is more money in Disney, so bring your own. This goes for anything you'll need, including diapers, wipes and snacks. Any extra luggage space on the way home will hold those Mickey stuffed animals. 11. Make rules for walkers. I am a huge advocate of “better safe than sorry.” While babies and toddlers ride in strollers, many families have a walking child as well. Be clear on instructions, and every morning go over these instructions. We like to use the arm’s length rule. If you can’t reach out and touch mom, dad or the stroller, you’re walking too far away. Happy planning and any extra tips you have...comment and share! A few years ago when my younger sister was in college, she joined the National Marrow Donor Program. When I found out she was on the registry, it didn't surprise me in the least. My sister is a free spirit, and her heart is open. She has always been in the business of "helping people." 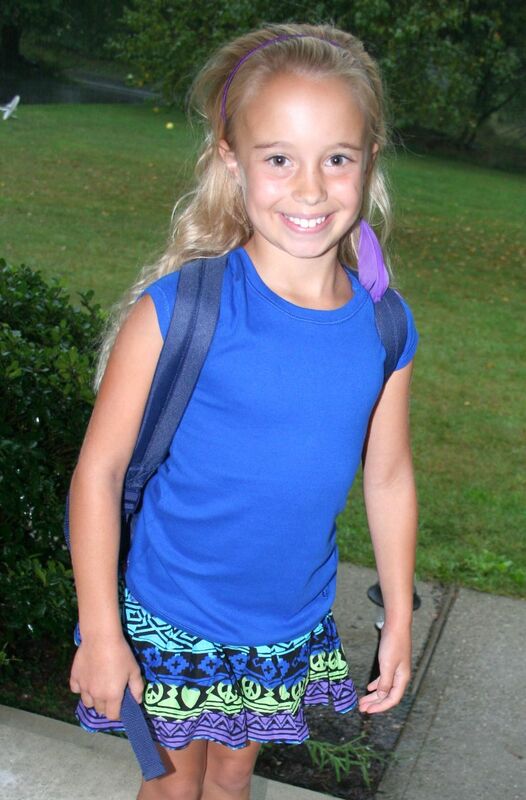 Bailee has worked with Autistic kids and the mentally ill. She is generous, kind and patient. My sister is much more laid back than I am and she is the best aunt to my kids. I often ask her NOT to marry and have kids of her own. I need my kids to have that "cool aunt" who will buy them prom dresses and take them back to school shopping. She laughs at me, and I tell her I'm so not kidding. A few months ago, my sister got the call from the marrow registry that she was a match. A woman, 45 years old with Preleukemia needed a bone marrow transplant. This woman is very sick and without bone marrow will most likely die. That's all my sister was told. While signing on to donate marrow is relatively easy, donating marrow is more complex. It requires time in a clinic or hospital, and time to recover. Registering to be a marrow donor is a serious commitment, and donors need to be ready and willing to go through with the procedure if they are matched to a patient in need of marrow. On Monday, my mother flew out to Chicago to be with my sister. From what my sister was told, she would be fairly uncomfortable for a few days. My sister checked into the hospital yesterday morning, and went under anesthesia for the procedure. 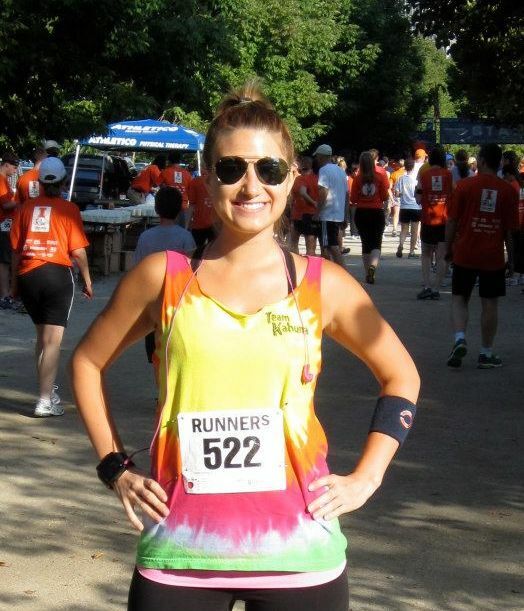 Doctors used needles to withdraw liquid marrow from the back of her pelvic bone. The procedure took longer than normal (two hours as opposed to an hour and a half) because this woman needs more marrow than other patients. Outside the door a doctor waited with a cooler, ready to transport the marrow. My mother asked where the marrow was going, this doctor was unable to say. You know, privacy laws and all. All we do know is that last night, somewhere in the United States, a dying woman received my sister's marrow. And my sister became someone's superhero. Along with the cooler full of healthy marrow, this woman received a card from my sister. Anonymous, of course. This chick is the real deal. All heart. And I'm so very proud she is my sister. In a month, she will have an update on whether or not her marrow healed this very special woman. Men, stay away. She is NOT allowed to marry. Cheers to all for a fantastic Thursday! The story continues....PART 2: "Life"
With school in full swing, I can guarantee three starved children will walk through my door every day at 3:20pm. 1. 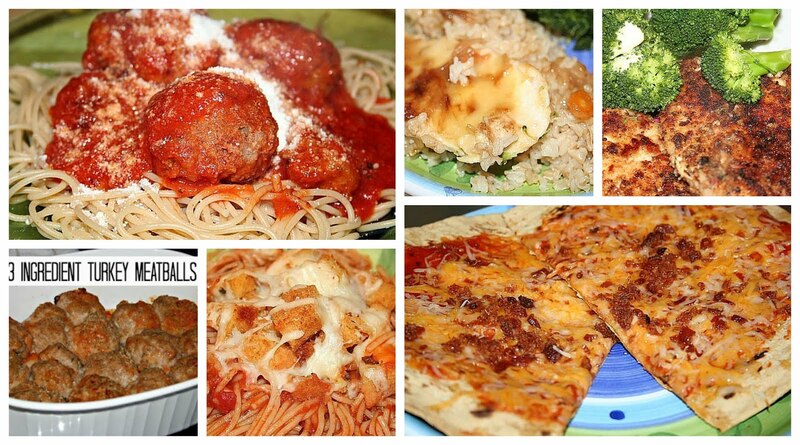 Make a "mini-meal" to hold them over until dinner. 2. 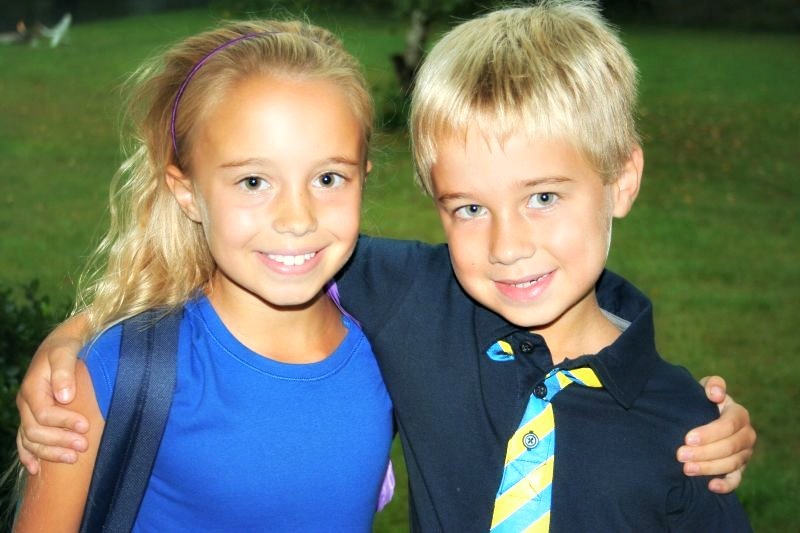 Make them dinner and send them off to their after school activities. These pizzas are a mini-meal, perfect to hold their tummies until dinner is ready to be served. What makes these little guys even more wonderful is that my kids can almost make them alone, which ups the chances considerably they will eat them. Kids love to eat stuff they make. Add in easy ingredients and a 15 minute turnover from start to finish, and these little beauties rock the house (all the way down!). Was anyone else a cheerleader? Heat over to 350. Toast muffin slightly, about 3 to 5 minutes. 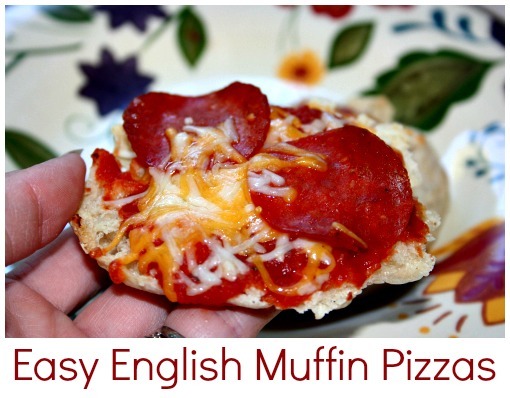 Either have your child spoon sauce onto muffin and sprinkle with cheese, or prepare muffin yourself. On tinfoil, place muffins back in oven for 5-10 minutes, until cheese is melted. On Sunday, October 24th, 2010 my son's football team lost in the first round of the playoffs. My son, and eight of his teammates who have remained on this same team, haven't won a game since. These boys have practiced over 100 times, returning to the field with their pads on in the heat of August and the chill of late October, without a win. They are dedicated and they work hard. They have a camaraderie some kids will never have the pleasure of knowing. Their coaches have volunteered hundreds of hours of their time, away from their families and rushing to practice after work. They talk on the phone after games and before practices. They discuss what worked, what didn't work and what they can try next time. They deal with parental complaints and many suggestions. They disagree. They agree. They disagree again. I know how much heart the coaches put into this team because my husband is one of those coaches. And the road to our win yesterday was a rough one, filled with hills and valleys. I wish every parent could only know the headaches and the frustration these coaches feel trying to work through losing game after game after game. The coaches have been together for three years, and they care about these boys. They know how much talent is on our team, and finding the right formula has taken much trial and error. Last Sunday, after losing another nail biter, Hubby came home and expressed that he couldn't believe some of the kids that were crying. He'd never seen them cry before. 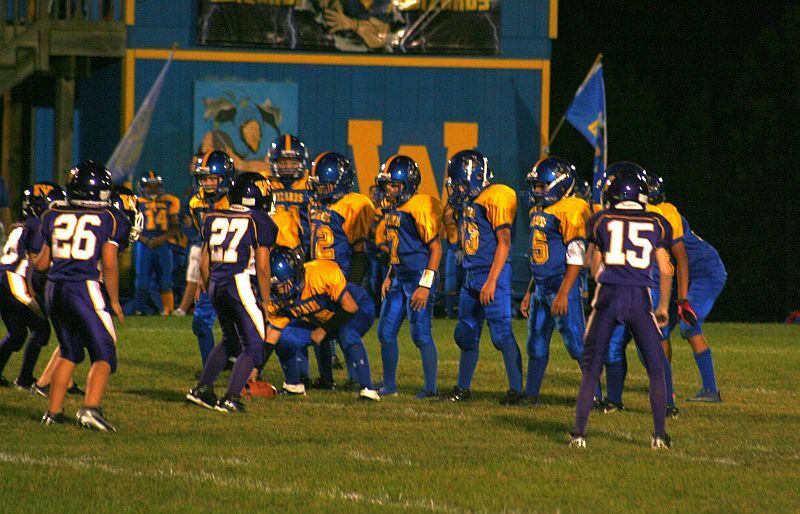 Right in that huddle, after we lost another close game, these players just lost it. My son, our Sports Fanatic, was one of those boys. He continued to cry as he ate his ice cream, right in our kitchen. As we talked to him, offering up yet another, "stay with it" pep talk, he looked at us with teary eyes. "I'm just so sick of losing." But yesterday, after almost two years, he finally felt what it feels like to win again. 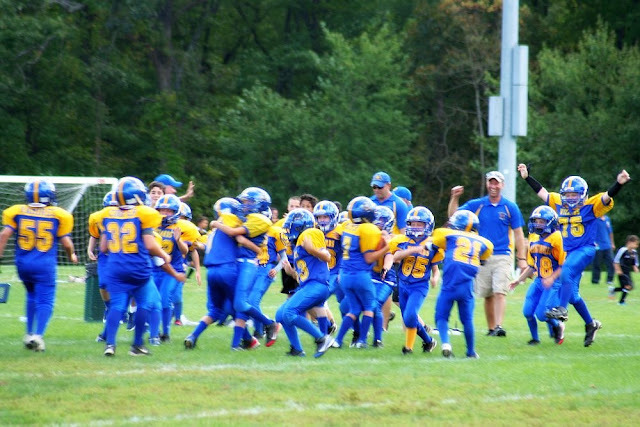 As the whistle blew to end the game, many of the parents on the sidelines were leaping right along with the boys. The mother next to me was crying. We felt every loss just like they did. Sometimes, I feel as though we felt it more. But win or lose, all these boys love the game. They always have. And that makes them winners every time. Cheers to anyone who has ever fought through a losing season. Winning is easy. Losing takes heart. My daughter, who is nine, is a gymnast. She is fairly competitive, and practices many hours a week. She spends every Monday, Wednesday and Friday night in the gym. She also goes most Saturday mornings. When competition season is in high gear, most of her weekends revolve around gymnastics meets. Gymnastics is very expensive. I say this because I want to assure everyone that I'm not pushing her into something she doesn't love. Every time her gymnastics tuition is due I wipe another tear from my eye as I write the check. And then I throw up a little. This is not a sport any parent takes lightly, because we could all be driving brand new BMW's if we didn't have to pay for the training. As parents, we make many sacrifices to give our kids what they love. And I'm glad to sacrifice anything if it means I can provide more for my munchkins. My little girl is over the moon about gymnastics and aside from school, it's her main focus. Since she spends so much time in the gym, there is little time for playdates and sleepovers. There really isn't time for much else when you add in homework and downtime with our family. The trouble is, when you're not at soccer practice with all the girls from school, or at playdates and sleepovers on the weekends, it makes you an easy target. A very easy target. I was in elementary school once too, and I remember very vividly how, er, pleasant some girls can be. My middle-school-self included. This past year, my daughter has had struggles with friends at school. She has one very best friend, and this girl is amazing. She has a few other "friends" as well, and sometimes these girls are not so amazing. We all know the drill, because we've been there. Girls will be girls. Unfortunately, this year all of these girls are in the same class. My little girl is in a different class. My heart broke for her when I realized this, because I knew it would mean more trouble with friends. These past few days at recess, my girl has been playing alone for much of the time. 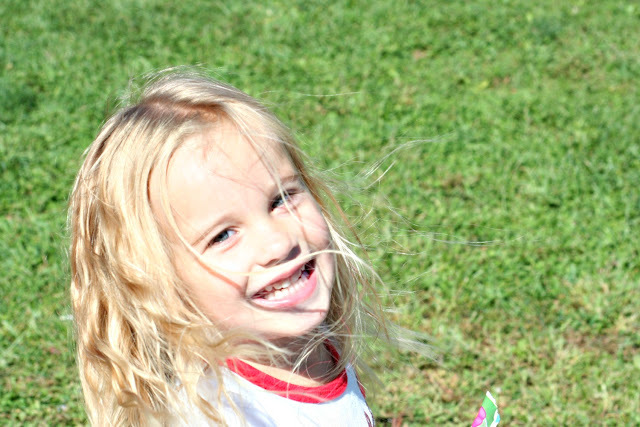 Last night she broke down because when she approaches these few girls at recess, they have been walking away from her. Her "friends" aren't always so friendly. My daughter truly only cares about this one very best friend, and I assured her this girl loves her the same as she always has. But this girl also has other friends. Many other friends. And sometimes she's going to be doing something else at recess, or after school. My daughter needs to learn to not take it personally. And as for these girls who walk away from her? They are not friend material. Last night, during our heart to heart, she way crying. I try my best to dig up life lessons and wisdom when my kids come to me with these problems that I really can't just "fix." I decided to tell her about eggs and baskets. Baby, you can't put all your eggs in one basket. "What do you (sniff sniff) mean?" Let's say you have a dozen eggs, and you put them all in this awesome, gorgeous basket because you love this one basket so much. But then you pick up the basket, and the handle breaks. What happens to your eggs? What if, instead of putting all your eggs in one basket, you put six in the gorgeous basket, and three in another basket. And then three more in one more basket. What happens if the best basket with the six eggs breaks now? "I still have six eggs." That's right. Your best friend is the gorgeous basket. But you need more than one basket. She understood. After some tear wiping, I told her she needs to make more friends. She can't be afraid to approach kids and ask them to play. She needs to have the same confidence she has in the gym when she is at school. She needs to believe in herself and know what a special girl she is. Today, when she was leaving for school, I asked her what's she's going to do today. She looked at me and responded, "I'm going to get more baskets." Parenting truly is the toughest job in the world. Cheers to all the Mommies out there. Today was Moopa's first day of preschool. While some mothers carried in clingy children, and lingered to make sure their babies would be okay, I danced my way back to my car. Literally. Yes, I'm excited to have five hours a week to myself for the first time in eleven years. But this morning, my joy came from someplace different. Moopa's had an interesting first few years. We noticed her strabismus when she was around seven months old. Strabismus is similar to lazy eye, but for Moopa eye patches would not correct her problem. We had to schedule eye surgery when she was just under two years old. Que the bleeding eyes. This was mentally and emotionally exhausting. Although our little girl didn't seem to mind in the least after a few hours back at home. 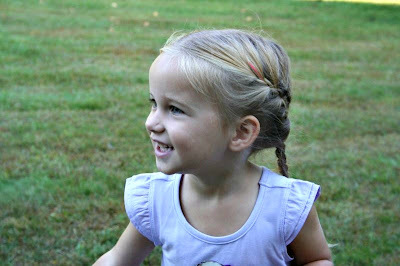 On Moopa's two year old well visit, I mentioned to her pediatrician that her hands shake often. And that her legs tremble when she wakes in the morning. After her exam, we were sent to visit many specialists and over the next year have many tests. My baby has had brain scans and blood drawn and her urine tested. We started with physical therapy last September and occupational therapy last October. Other than knowing our baby girl has Hypotonia (low muscle tone that makes her weaker than her peers) and intention tremors (hands that tremor the harder she tries to complete tasks requiring fine motor skills), we have no answers. And when the weather turns cold, and it starts to snow, our baby struggles the most to get her days going. Today, I feel like we reached a huge milestone. Our baby girl went from crying if we even mentioned being around other kids to asking every minute when she could go to school. 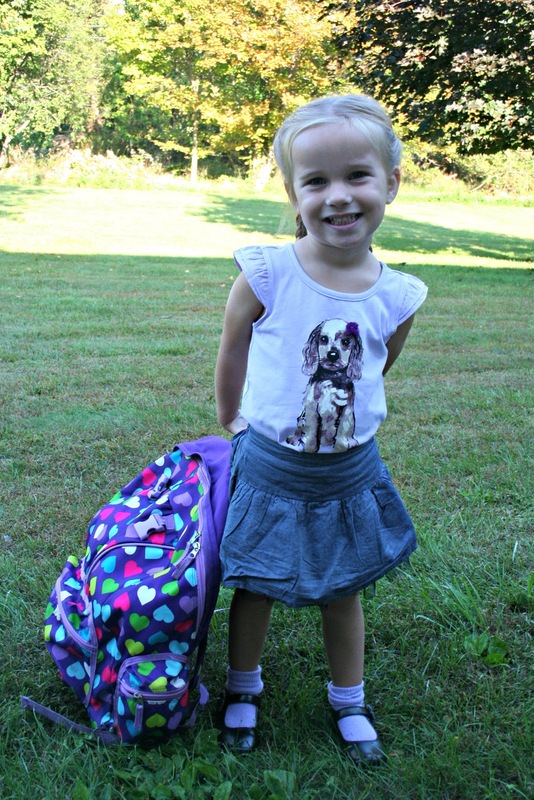 She is confident, happy and ready to tackle preschool. And so when I dropped her off today, I felt nothing but happiness for her. I'm so very proud of all she has accomplished. It's been a long road of appointments, therapists, evaluations and specialists. These past few months she has blossomed and she is beginning to come into her own. Today is just the beginning of her journey. And for me, I can't say I'm not thrilled to type this without Nick Jr. in the background. Or at the thought of Christmas shopping in peace this winter. I'm ready to rock and I'll be cruising at full speed. A recent article on Yahoo has some taste test results that will make store brand fans (moi) sing with glee. There are several generic items that are just as good without the name brand price tag. Blind taste tests had many store brand foods equal in quality to name brand products. Add in a huge price savings on many store brands, and I'm dancing the jig. What many shoppers don't know is that national brands, such as Hormel, package many store brand products. While you can never be certain where exactly your generic brand hails from, chances are it's from a very reputable company. Blind taste tests had Wegman's peanut butter tied with Skippy. Skippy is a bit sweeter, Wegman's a tad more roasted in flavor. Dollar General ties Sunshine's signature Cheez It, noting that Dollar General's were a bit saltier and slighty more toasted. Of all the results, it shocked me that Winn Dixie's Greek Yogurt was equal in quality and taste to Chobani. Another plus? Winn Dixie's was slightly sweeter. This result came as no surprise to me, since I'm a regular Target customer and Market Pantry's Ranch Dressing is currently residing in my fridge. I haven't purchased Hidden Valley Ranch is a long while. While I'm a bit of a carbohydrate snob, I do buy store brand bread if my favorite brands are not on sale. I make enough sandwiches in a day to make the savings well worth my while. This blind taste test has Hy-Vee Wheat Bread tied with Freihofer's. Both breads are soft, although Hy-Vee has more of a sourdough flavor. I admit to having Great Value Fiber Bars in my pantry, and my six year old eats them regularly without complaint. I was pleased to see that blind taste testers also enjoyed Great Value's Fruit & Nut Bars just as much as Hidden Valley. While it may not seem like saving $0.33 a serving adds up to much, when you consider there are six bars in a box of Fruit & Nut Bars, you're saving $1.98 on a box compared to average retail prices. If you buy two boxes a month, over the course of the year you're saving $47.52 on Fruit & Nut bars alone. Now switch your salad dressing to Market Pantry, and buy one bottle a month. Your annual savings jump to $70.56 on just two items. And according to these taste tests, you're not compromising quality. There are a few items, such as Eggo Waffles, that I have never found a generic to match the taste and quality. 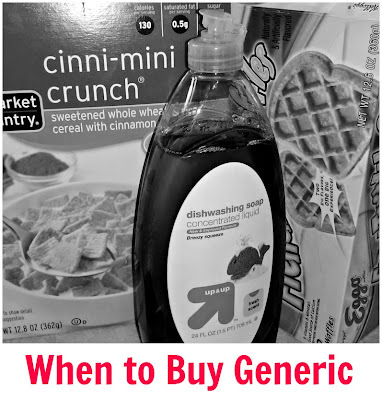 However, by switching out many of the everyday items for generic, you can save tons of money. I only bought Bounty Paper Towels for years. With four kids and dozens of daily spills, I refused to stray from my favorite paper towel. But one day, short on cash, I bought Up & Up instead. I have never looked back. And my annual savings on paper towels alone is about $100.00. Share with us, what's your favorite store brand? Eleven years ago, I was in my sunroom watching television with my five month old son. It was a gorgeous morning, blue skies without a cloud in the sky. My son was bouncing in his exersaucer, squealing with excitement and wonder as he spun the toys. On television, the first tower was burning. I'm fairly certain I was watching as the plane hit the second tower, although my memories are now clouded with what I watched in real time and what I watched on the news for days following the attacks. I remember looking at my baby, thinking his precious life will never be as easy as mine had been up until that moment. His world would know so much more fear, uncertainty and vulnerability than mine ever did. My heart broke for him because at that very moment, it hit me that his life would be so much harder than the one I envisioned for him. Our world, as we knew it, would never be the same. Many hearts broke that day, all over the world. Tears fell and eyes couldn't believe the horror they were seeing on television. And hundreds of eyes couldn't believe what they were seeing right in front of them. Growing up right outside New York City, this attack was very close to home. And I'm still surrounded by friends who can vividly recall 9/11 because they were there. They walked across the bridges to get home to their families and they reported for duty when duty called. This day is an annual reminder of what's important. More than anything, every day, our humanity should always come before anything else. Rest in Peace to all who perished. You will never be forgotten. Where were you when you watched the news coverage? What do you remember? This lovely, sunny Monday morning I'm suffering from a football hangover. It's bad. I spent all of my Sunday watching football. From 1pm-4pm, I watched NFL. From 5pm-9:30pm, I watched my two boys. It was an up and down, touchdown, fumble, touchdown battle. Both of my boys played hard, and my younger son, LLG, had his first solo tackle in a game. What an exhilarating experience for a six year old. After my older son's heartbreaking game ended at 9:30pm, we hurried the family home for pajamas and bed. Never-mind the fact that I have no idea if any of them ate a morsel since I fed them before leaving for the fields at 4 o'clock. Actually, I'm certain my girls ate. And I'm certain I ate. I'm even certain my younger maniac son ate because I organized his team's tailgate. But Hubby and my Sports Fanatic? There was too much commotion to worry about proper nourishment. Starving my Hubby and oldest child aside, it's a miracle I didn't have to drive anyone to school today. We did get the 7:30am call to drop off an organizer and a bathing suit for P.E., but everyone made the bus. And to that I say, hallelujah. While everyone is busy putting up "2012" pictures on Facebook, bumper stickers on their cars and watching all this snazzy election coverage (or not so snazzy, depending on what channel you watch or how you feel about elections in general), we need to remember one important thing. We need to be kind. Everyone has a different journey, a journey that brought them to believe what they believe and vote the way they vote. 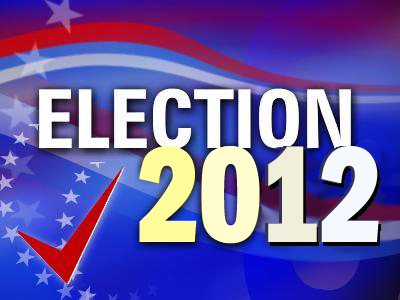 I am one of six kids, and despite being raised under the same roof by the same parents, we don't all vote the same way. There is a large majority, but we still have different opinions on many subjects. Our journeys brought us different places. Whether you're a republican, a democrat, an independent or you just hate it all regardless, be kind. Respect a friend's journey, and be open to discussion. Put the attack flags away and listen to each other. Research and do your homework. Remember that for every picture of a politician with a caption underneath, there is one for his opponent. All the fluff and the policitcal commentary aside, politics is politics. There are speech writers, lobbyists and loud mouths at every turn. And the United States is where it is because of both sides of the political spectrum. Look ahead, respect eachother and be kind. Because when you strip it all away, we're all pretty much the same. We may have different beliefs, but we all want what's best for the journey we're on. We're big into football around here. I blog about it often enough that I'm sure some of my readers question my sanity. I promise you I'm sane, I just believe in the lessons organized sports can teach us and our kids. My dad coached football; my four brothers played football. The sport has always been a part of my life. My oldest son started playing several years ago, when he was seven. He played almost every minute of every game that first season, and he spent hours on that practice field along with all of his teammates. He learned about hard work, dedication and discipline. While he didn't play the position he wanted, he learned what it meant to be part of a team. Football taught him lessons that couldn't be taught in a classroom. When my son turned eight, he had to move up a level and play with eight and nine year olds. He was the "little guy," and he would have to take his turn sitting the bench. 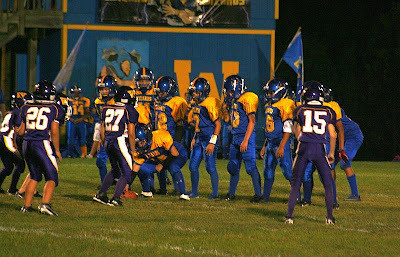 Every child on our town's team is supposed to play a minimum of eight plays, which ensures every boy learns the game regardless of ability. Unfortunately, our coach that year played favorites, and he ran a tough ship. 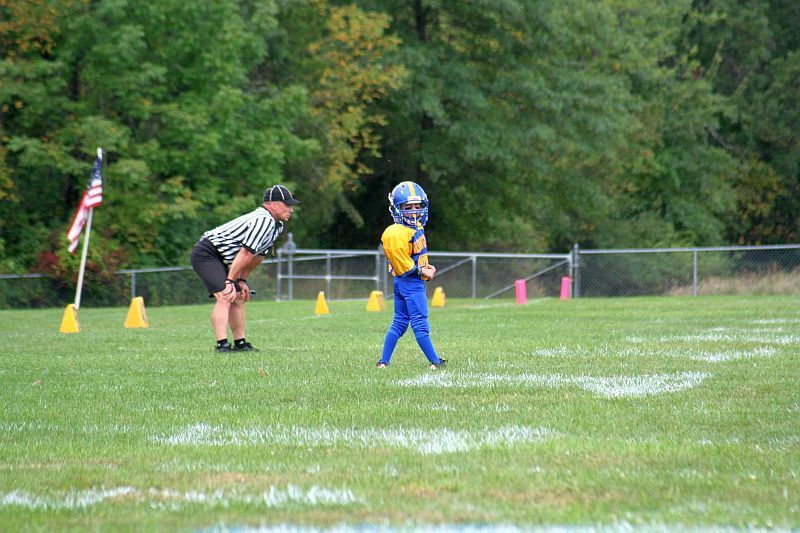 My little guy didn't see much of the field at all his second season of football. His heart was broken, but he kept working. 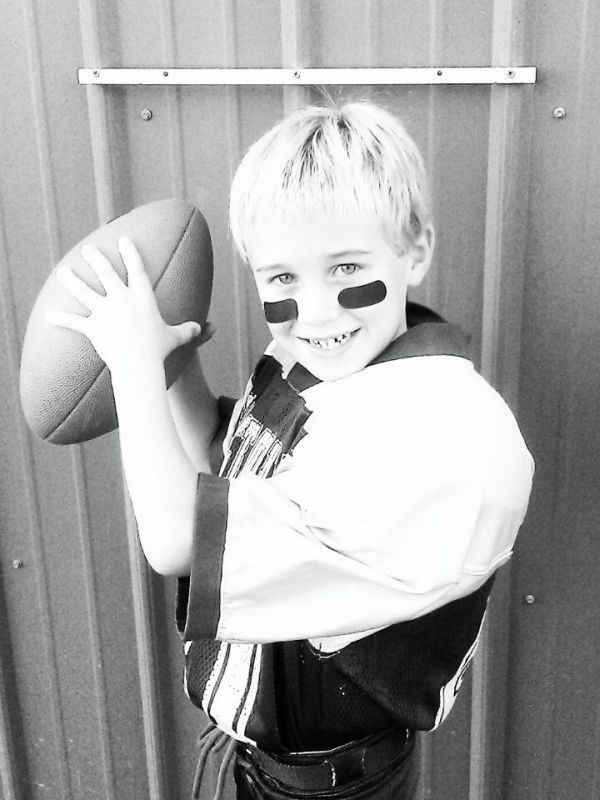 He went to practice, gave up time with friends after school and suited up for his games. He was dedicated to his team despite feeling he wasn't a part of it. It's tough to want something so badly and to feel like the dream is out of reach. My son voiced his dream to me many times when we spoke before bed at night. He squinted his little eyes shut and told me how badly he wanted to play a skill position. He wanted to be a quarterback, not a lineman. He wanted to be on that field for most of the game, not just a few minutes. I could feel his heartbreak, and I told him to never give up. Keep working and don't back down. Your life is what you make it; no one is allowed to tell you what you're capable of. My son practiced in our yard every night leading up to his third season. He had my husband work with him until the sun went down, running plays and practicing passing. He never gave up on his dream, he never backed away from the challenge. 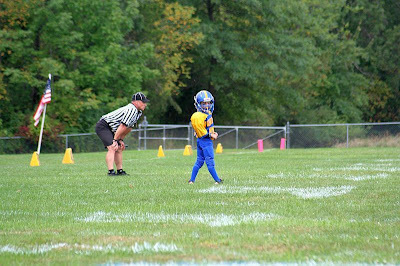 His third season of football, when my son walked on to that field for his first game, he took his first ever snap as a starting quarterback. His story is an inspirational to me still, proving that when you don’t give up on your dreams, they can come true. Won't Back Down, starring Maggie Gyllenhaal and Viola Davis, inspires viewers to never give up and to fight for what they believe in. When their children's inner city school begins to fail its students, these two mothers stop at nothing to ensure their children get the education they are entitled to. With school starting this fall, this is the perfect movie to enjoy with your whole family. The film hits theaters September 28th. Like Won't Back Down on Facebook to watch the trailer and keep up with movie news. You can even buy group tickets on their page if you'd like to make an outing of it! How can you be an agent for change in your community? What gives you courage? Comment below for a chance to win one of two $40 Fandango Gift Cards! This sweepstakes runs from 9/5/12-9/30/12. Be sure to visit the Won't Back Down brand page on BlogHer.com where you can read other bloggers’ posts and find more chances to win! Today is the first day of school. This year we were prepared, outfits set out and lunches packed. Tummies were full of breakfast and we ready for the bus on time. 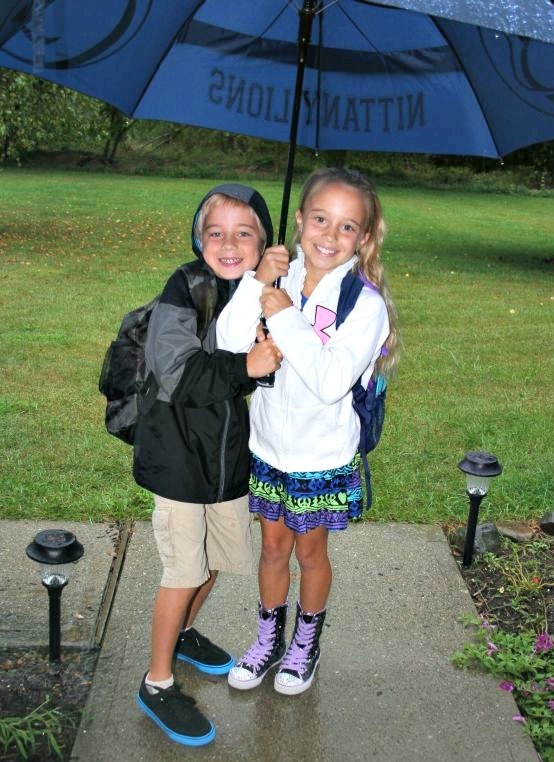 Unfortunately for my daughter's back to school outfit the universe decided it was a great day to pour rain. Now that the bus has pulled away, and the house is quiet except for Mickey Mouse singing "Hot Dog" to Moopa, you'll have to excuse me while I dance the jig and sing Hallelujah. While I cherish time with my small circus, accomplishing just about anything has proven to be difficult with four extra bodies everywhere I go. I can say with confidence I have forgotten at least one major item every time I've gone to the store for the past eight weeks. I've also spent mucho denaro on items we don't really need. Que the dozens of Frappuccinos. In all seriousness, my summer has been plentiful and relaxing. It has also been expensive. We spent time at camp, at the beach and indulged in semi-necessities such as ice cream cones. We lived for the day and worked on a need to know basis. No more milk? Go to store. No more underwear? Do the laundry. Last year, I was not ready for my kids to go back to school. We spent much of our summer running my youngest to specialists and having tests done. It was physically and mentally draining. We felt as if we never enjoyed much time doing nothing. Summer flew by and there was never time to recharge our batteries. This summer, we did just about all we wanted to do. Our batteries are recharged and we're feelin' awesome. Today, I regain my sanity. I regain my ability to shop without an entourage, use coupons and wash my floors. In case anyone is wondering why I only have pictures of two of my kids on the first day, it's because I didn't want my "middle-schooler" to die of embarrassment as I snapped pictures of him waiting for the bus. Trying to be a cool mom is no easy task. 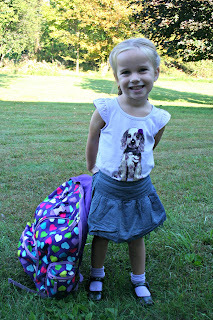 Happy back to School to all my mommy pals ~ enjoy the peace and quiet! 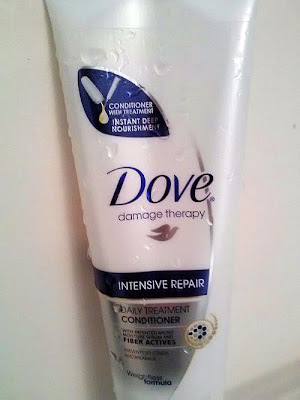 A few weeks ago, I received a sample of Dove Intensive Repair Conditioner. I was overjoyed, since my hair is only ever treated to what is on sale, clearance or what can be matched to a coupon. Ideally, I find a product that is on clearance and coupon matched. This cuts my conditioner options considerably. Add clearance conditioners to hair that has been dried, fried and baked in the summer sun? Let's just say I wear mucho ballerina buns from June until September. They're easy, quick and they allow me to ignore the state of my hair until absolutely necessary. I can ignore the rough, straw-like mane until I have the money to spend on a good cut and color. In case you were wondering, I book this good cut and color every September. Dove Intensive Repair Daily Treatment Conditioner (try saying that five times fast) is thick and creamy, and it truly worked wonders on my summer hair. I like to wash my hair every few days, but I have to condition every time if I don't wear a shower cap. Once wet, my hair is a tangled mess. Dove Intensive Repair softened my hair, and combing it post shower wasn't an eye-tearing-tangle-pulling experience. Every time I conditioned with Dove, my hair was smooth and it smelled phenomenal. I even used this product on my daughter's hair, which suffers extreme damage from chlorine and salt every summer. Her long, blond hair was more manageable and less rough after just a few "treatments." Dove Intensive Repair not only repairs damage from the sun and over-styling, it prevents future damage. You can officially say good-bye to frizzy hair and split ends. After a few days of using this conditioner your hair is softer and looks healthier. If you're looking for a quick fix to your summer hair that doesn't break the bank, I would consider Dove Intensive Repair. Spending the money on this conditioner is like making an investment in your hair. I promise. What is your favorite Dove product? Enter to win a $1,000 Spafinder gift certificate! Be sure to visit Dove®Hair.com to get a coupon for $1.50 off Dove Hair Therapy products.